We are a full service licensed electrical contractor that has been committed to excellence since 1992. From residential construction to commercial construction projects, our experienced and professional electricians are eager to provide you with the highest quality of service. Our design build firm offers "turn key" construction including: project design, installation, and service. At Deer Creek Electric, we have earned a solid reputation for integrity, dependability, leadership and value, due in large part to our unwavering attention to quality electrical construction and our unfailing pursuit of customer satisfaction. We understand that our organization is one of service, and that our competition is ever present, that words are weak and performance is remembered. Our future depends on our ability to be reliable and professional while providing the highest standards of excellence and quality. Deer Creek Electric is York County's most trusted master electrician! 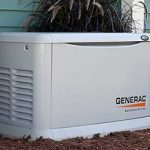 With over 25 years of experience, Deer Creek Electric are your Standby Generator installation specialists in South Central PA/Northern MD. We also specialize in the Solar Panel installation, Service Panel upgrades and more! 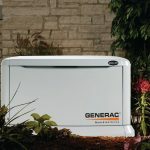 To request a cost free estimate on a whole home Generator installation, Solar panel & inverter installation, or anything else, please fill out this form!